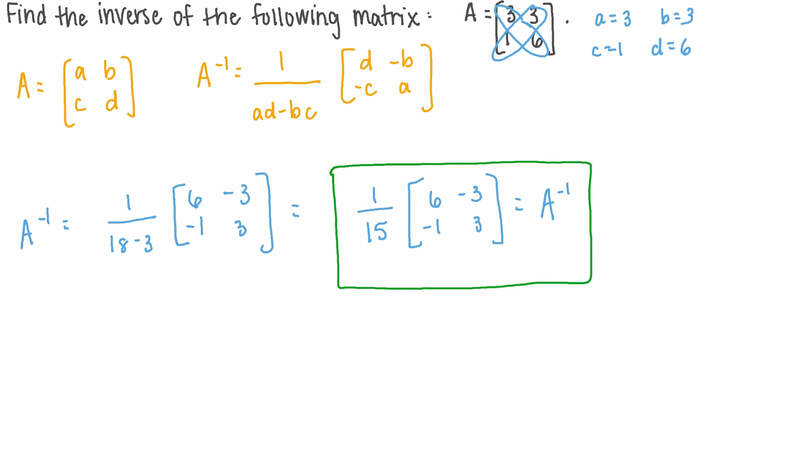 In this lesson, we will learn how to identify invertible matrices and find their inverses. Find the inverse of the following matrix. Find the set of real values of 𝑎 for which 𝐴 =  𝑎 2 5 1 𝑎  has a multiplicative inverse. Given that find 𝐴 − 1 . Find the multiplicative inverse of the matrix 𝐴 =  − 4 − 1 0 3 5  , if possible. C 𝐴 has no multiplicative inverse. Given that the following matrix is invertible, what must be true of ? Using the elementary row operation, find for the given matrix if possible. Find the multiplicative inverse of 𝐴 =  − 4 8 − 1 2 2 4  , if possible. 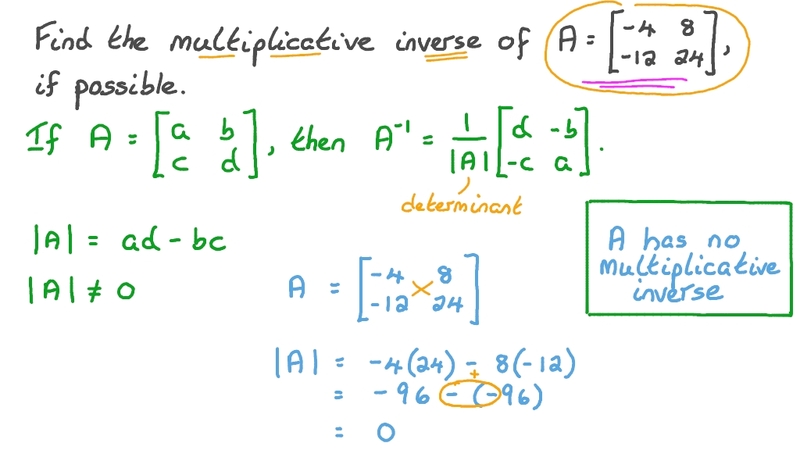 A 𝐴 has no multiplicative inverse. Given find its multiplicative inverse if possible. Find the multiplicative inverse of  6 9 0 0 6 9  . Given that find the matrix 𝐴 . Consider the matrices 𝐴 and 𝐵 . Determine ( 𝐴 + 𝐵 )   𝐴 =  − 3 − 2 − 5 − 7  , 𝐵 =  − 1 2 8 9  . 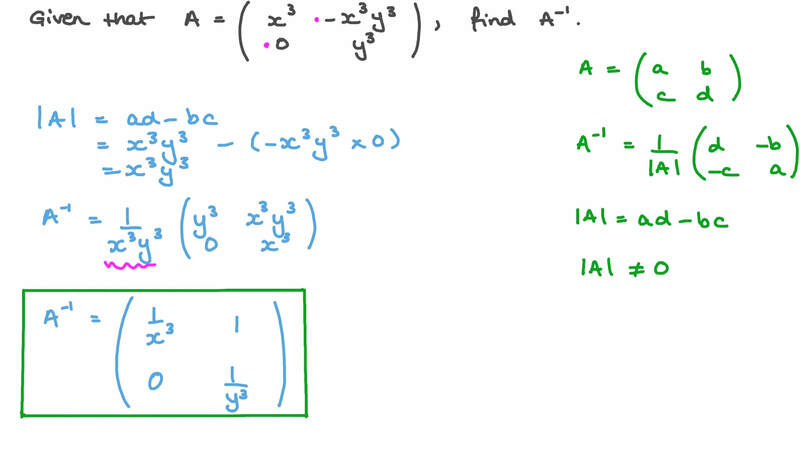 Solve for matrix in the matrix equation , where , , and are as follows. Consider the following matrix equation. Solve for the unknown matrix. Find the multiplicative inverse of the matrix 𝐴 =  3 7 2 2  , if possible. Find the multiplicative inverse of the matrix 𝐴 =  5 − 2 7 − 2  , if possible.